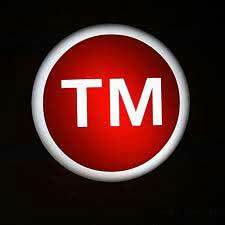 A Trade Mark is a type of intellectual property, and typically a name, word, phrase, logo, image, symbol, design, or a combination of these elements, which distinguish services or goods of one person or enterprise from those of another. A Trade Mark is a distinctive sign or indicator used by an individual, business organization, or other legal entity to identify that the services or products to consumers with which the Trade Mark appears originate from a unique source, and to distinguish its products or services from those of other entities. We provide Trade Mark services at affordable price to our global clients in India & across the globe, which suits the client's requirements and expectations completely. We cover all the requirements and expectations of our global clients beginning from Trade Mark Search, Trade Mark Filing, Trade Mark oppositions, and Appeals, Trade Mark registration, international Trade Mark Registration Services and Trade Mark Enforcement services. We have a team of highly qualified and experienced Trade Mark attorneys, who are expert in solving the client's queries and Trade Mark issues.